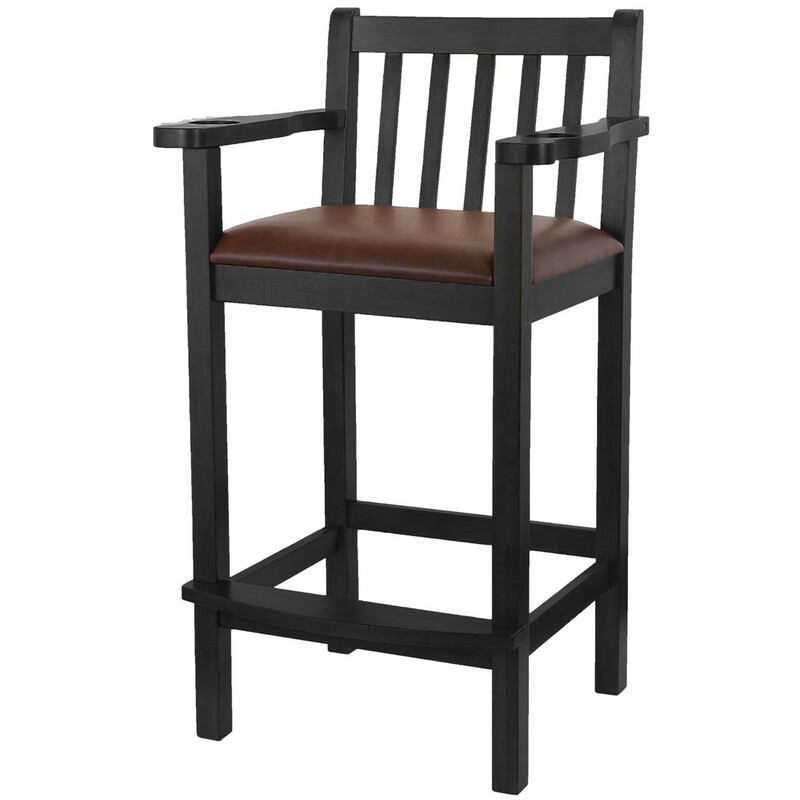 The Imperial Spectator Chair makes a great addition to any game room. 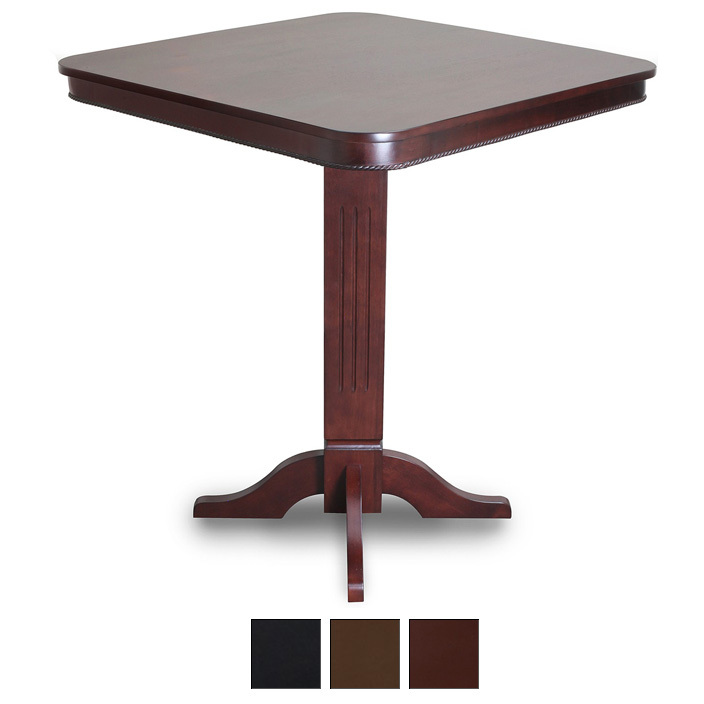 Made of selected hardwood and finished in a high-gloss coating that provides a glass-like finish on the wood. The finish clarity and transparency enhances the true beauty of the natural wood grains and provides protection against scratching and marring. The dense foam cushion, slated back rest, and foot rest provide comfort and support. Cushion is finished in durable Polyurethane. Cup holder and cue rest in the arm rest. Seat height 33-inches from the floor; seat width is 19-inches. 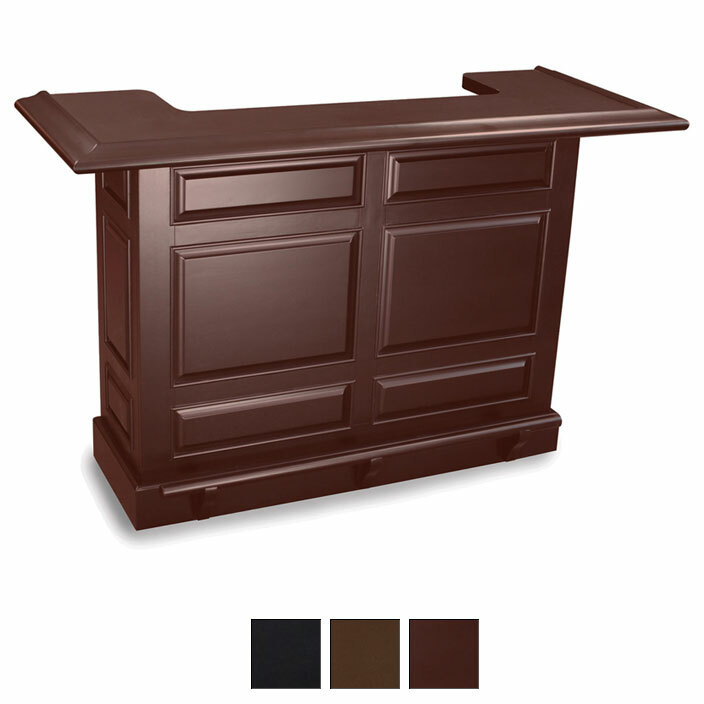 Available in Mahogany, Antique Walnut, and Black finishes. Must be ordered in pairs.